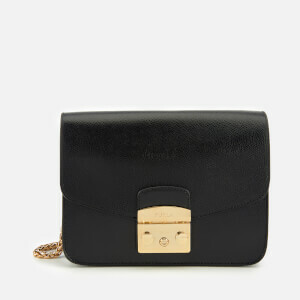 Leather crossbody bag from Furla. 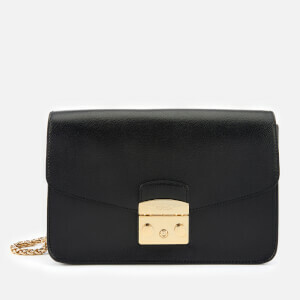 The 'Mimi' shoulder bag is crafted from textured leather with a structured silhouette. 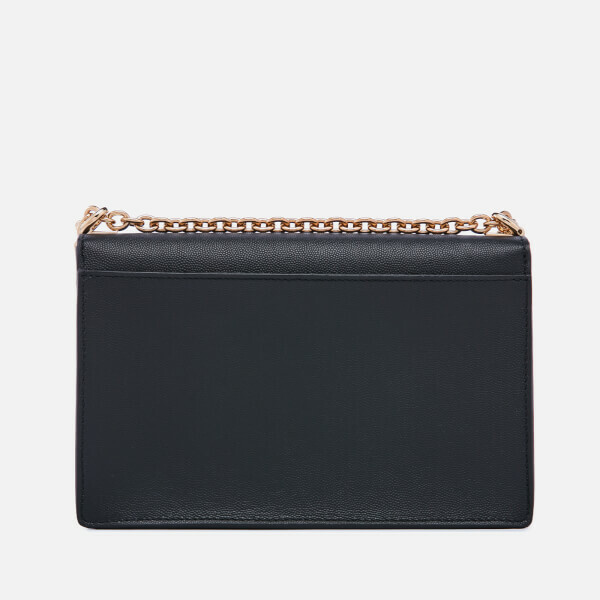 The front flap is secured with a gold tone pushlock clasp that opens to reveal a premium grosgrain-lined interior with slip and zip pockets for safe storage. 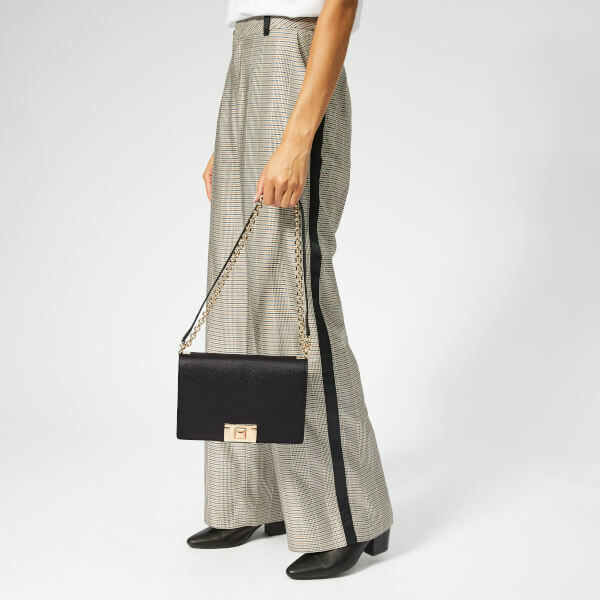 Equipped with an adjustable chain and leather shoulder strap that can be worn elongated across the body, or doubled-up and worn in the crook of the arm. An additional slip pocket features to the rear external. Branded gold tone hardware. Arrives with a branded dust bag. Dimensions: H: 15.5cm x W: 24cm x D: 8cm. Handle Drop: 32cm. Strap Drop: 57cm.